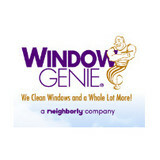 Window Genie is Northwest NJ’s leader in home services. 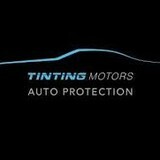 We specialize in window cleaning, window tinting, pressure washing, gutter cleaning and more. Our commitment to customer satisfaction and professionalism is what sets us apart from the competition. With over 20 years of experience, Window Genie has earned the trust of homeowners throughout Northwest NJ, Somerset, Hunterdon, Morristown and the surrounding areas. You can feel safe knowing our team of field technicians are fully trained, insured, bonded and drive custom wrapped GENIEMOBILES for easy identification. Estimates are always fast and free! The professional and courteous staff at Mr. K's offers quality window cleaning services and gutter maintenance for your home or business. Whether your need is for standard or specialized services (i.e. post-construction clean-up), we have the knowledge, equipment and technical staff to complete your project expertly, on time, and within your budget. 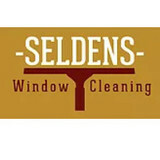 We have more than 30 years of experience in cleaning all types of windows, mirrors and skylights, as well as solariums, greenhouses, stained and leaded glass. We offer early morning and late day appointments to accommodate most scheduling needs, with Saturday bookings also available. Proof of general liability and workers' compensation insurance will be gladly furnished upon request, and we welcome the opportunity to provide you with a prompt and competitive price quote. Window Genie is Northeast NJ’s leader in home services. 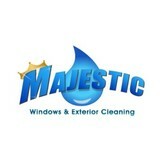 We specialize in window cleaning, window tinting, pressure washing, gutter cleaning and more. Our commitment to customer satisfaction and professionalism is what sets us apart from the competition. With over 20 years of experience, Window Genie has earned the trust of homeowners throughout Northeast NJ, Ramsey, Wyckoff, Mahwah and the surrounding areas. You can feel safe knowing our team of field technicians are fully trained, insured, bonded and drive custom wrapped GENIEMOBILES for easy identification. Estimates are always fast and free! Here at Blue Ocean Window Cleaning LLC we are licensed, fully insured professionals practicing in New Jersey & New York since 1998. We are available to help you identify services we provide that can fulfill your architectual cleaning and restorative needs. So you can continue to take joy and pride in your property's structural cosmetic and drainage improvements. 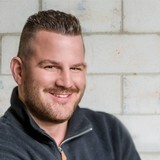 Full service cleaning & restoration company, using modern techniques and equipment to serve our customers. Process driven facilities solutions for any environment. Measurable results through standardization and award-winning people, processes, and technology. Maverick has resources you can leverage “on-Demand” for all your cleaning, maintenance or emergency services. Just a call or email away we can deliver skilled or unskilled labor to any site in the tri-state area. Our fleet of fully equipped vans and field supervisors can mobilize and deliver a wide range of services. Just call and consider it done.